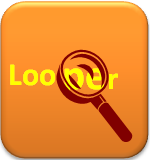 Enabling a Digital Life...: Breaking News…Looper Is Missing…! One of the checklist items of movie promotions is SMS/online contests, which win you movie merchandize or meet ’n’ greet with the cast or movie tickets or … <placeholder for anything else that one can imagine J>. So the same elements were at play prior to the release of Holly flick Looper on Indian screens on October 12, 2012. I responded to one of the two options against the question, “Who plays OLD JOE in Looper?” flashed on television channel ABP News, on Thursday October 11, 2012, 11:17 PM. I knew it was Bruce Willis and immediately typed YES A (YES B, if option B was the right answer) and sent it to the short code 5782728. Now came the Looper moment which gave me a jolt, yes it was, the response text from 5782728 read from the past…when Looper was not born! · I DID NOT TEXT to become a Star Ananda Privileged Fan! · Keep watching Star Ananda WHY? FOR WHAT? A typical condition laid out in the agreement between the Telco and the short code provider for provisioning the short code into Telco’s network is, the short code provider will not push any kind of promotional messages either as add on or stand alone, to a corresponding pull SMS. To de-jargonize, in the present context, what I sent to 5782728 was a pull and the response I received was a push SMS. The response text from ABP News was nothing but a promotional SMS, albeit a deficient one! It also fell short of aligning the response text to the purpose for which the SMS was sent.